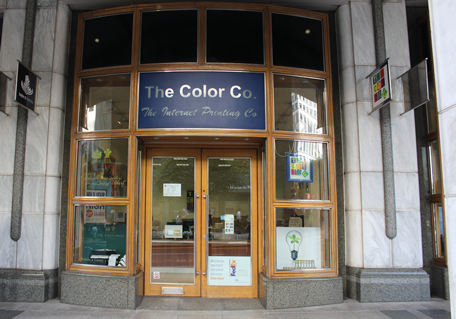 The Color Company have been servicing Canary Wharf and the surrounding financial district for a number of years, supporting the local economy as it continues to expand. This convenient location on ‘The Island’ is crucial to our clients and are in easy reach for those in the overlooking One Canada Square, yet just around the corner from Bank Street. We are located only a short distance away from the O2 centre and ExCeL London, which puts us in a prime position to provide marketing materials for the exhibitions held there throughout the year. Our team at the Canary wharf branch are able to supply everything from promotional merchandise and pop-up banners, through to brochures and leaflets ready for distribution. We place an emphasis on service to meet the fast-changing demands of our clients in Canary Wharf, each with their own individual requirements. Whether they are looking for business cards, financial reports or large format printing for their exhibition stand, we have the experience and know-how to deliver exceptional quality that truly stands out, and fast! Contact our Canary Wharf branch today for anything from creative design ideas or if you need a rush report printed, we can talk you through the digital and litho printing services we have to offer.